Bizzare Contact are Didy Ezra (1985) and Gady Ezra (1990) born and living in the sunny southern city of Dimona, Israel. Didy has been producing all kinds of Psychedelic music since the age of 13. his debut album "Plastic Fantastic" was released in 2004. The album was a success and Didy started to perform around the world from Japan all the way to Brazil, Mexico, Europe & Israel. Didy was also involved in a side project with dj Bog called "Visual Contact", Their album "La La Land" was released in 2005 and got great reviews all over the world. 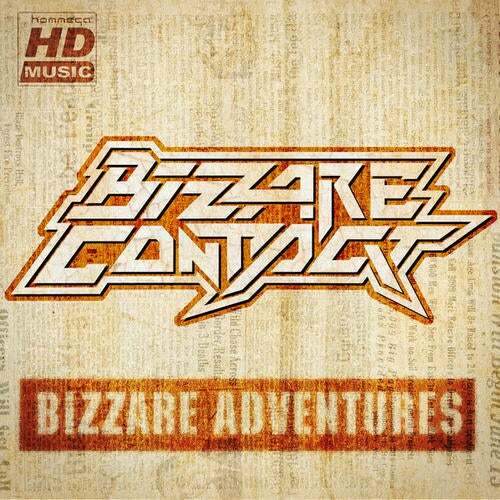 Bizzare Contact tracks got released on compilations all over the world including labels such as : Com.Pact , FinePlay, Noga, Alchemy, Utopia, Shiva Space Japan, Phonokol and many more. These days Didy & Gady are working on the 2nd "Bizzare Contact" album - Expect the Unexpected!